Ah, delightful Dana Point! Located on the riveting Riviera of the Orange County coastline, this is a gem on the west coast garden of oceanic opulence. One would think that this diver’s destination would be immune from water issues on land! Not so, in fact the proximity to the ocean brings devious dangers of their own. Ocean air and fog causes unwanted moisture intrusion on decking surfaces. The need for deck flashing repair is common occurrence. Thank goodness that Prestige Deck Coating lives right around the corner in Capistrano Beach! We are on it. One such deck flashing repair in Dana Point had an existing coating that was in usable shape, so we could install our deck waterproofing system over top. -The bottom 8 inches of the stucco was removed and replaced for installation of the Diato ‘Combo’ metal. -Next, we installed Combo metal deck flashing along the deck to wall transition, incorporating the stucco screed. This is to make sure the wall would be ready for stucco when we are done. -We had to perform a mass installation of deck drains to insure proper drainage. With extra drains in place, we had to insure that the decking was properly sloped. 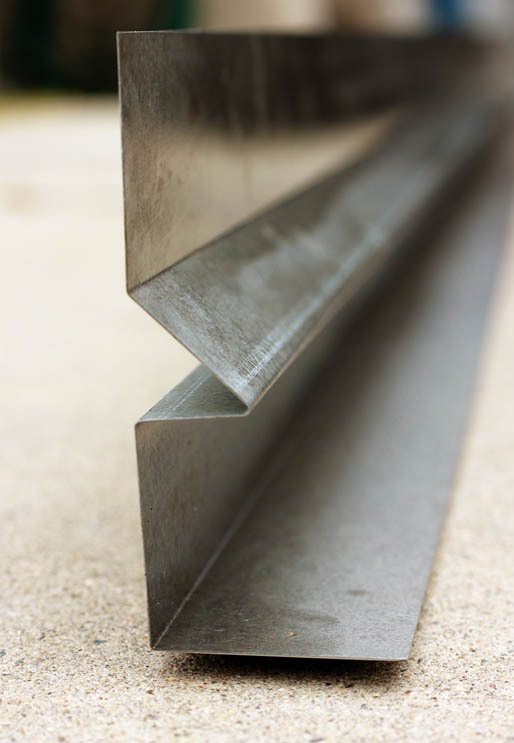 Sloping is key to eliminate possible deep ponding, which over time causes deck coating deterioration. The need for deck flashing repair escalates when ponding damages the coating and seeps into the sub-floor. This causes dry rot and leaking. 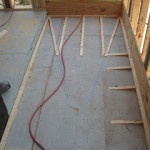 Second, we installed our industry renowned Crete deck flashing repair system. 1) Trowel down polymer modified concrete over lath reinforced sub-floor. 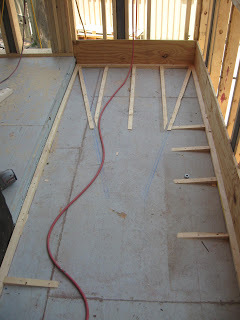 2) Roll out fiberglass matting and lather with bonder, to fully waterproof the deck coating. 3) Reinforce decking surface with an extra layer of concrete. 4) Spray texture coat of your choice. 5) Seal deck repair with two coats of epoxy fortified concrete paint. Prestige Deck Coating is a superb choice for all of your deck flashing repair needs in Dana Point and beyond! 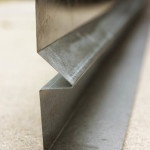 Our skilled installers have 30-40 years experience in the deck coatings industry. We offer free estimates and a 10 year warranty. Check Out Our Deck Flashing Repair Skills In Action!